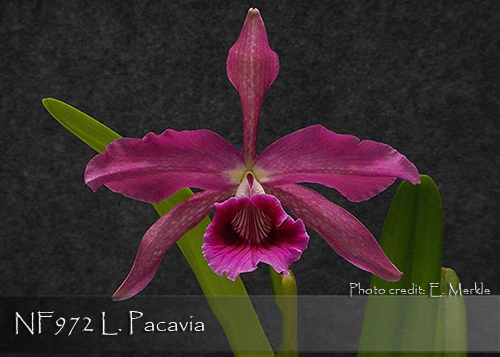 A primary hybrid mating two popular Laelia (Cattleya) species to produce large, shapely and richly colored art shade fragrant flowers ! This particular mating of the two species will be a more compact grower due to the pollen parent, L. tenebrosa ‘Rainforest’ FCC/AOS, and it flowers from late spring to early summer, producing 4-7 flowers per inflorescence. Very temperature tolerant, from hot to cold, it can be grown outdoors in frost free areas. Highly Recommended !